“Being decisive is making the right decision at the right time for the right reasons, a key factor to foster a culture of trust and open communication in your business. It allows your business to be nimble and quick in successfully completing planned actions that fit into the strategy for realizing your vision“. Hanging out the entrepreneurial shingle is easy and inexpensive with all the technology available today. But just because it’s easy to get started doesn’t mean it’s easy to build a business that will survive and thrive. There are way too many factors that will work against you when you’re trying to build a business. You can be the best techie, idea generator, service provider or product creator in the world, but without key leadership traits, your business could struggle. 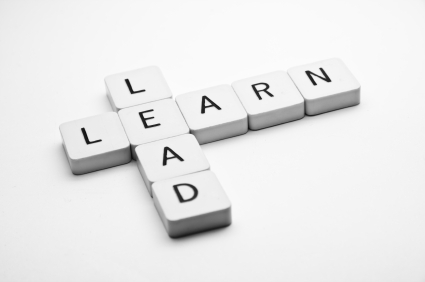 What leadership skills will help your business be the success you want it to be? Too many small-business owners get caught up in yesterday’s problems, not tomorrow’s dreams, so setting your sight on the future is a must. Your business vision should project out one to three years; any longer is just a pipe dream. Setting a vision for the future helps you stay on the path to success. Think about where you want your business to be, who it should serve, and how you will execute. To reach your vision, you’ll need to develop strategies, tactics and action plans to keep you on track. And let’s not forget about the people who will help you achieve your dreams. You’ll need to be able to articulate your business vision and find team members who embrace your passion and can help you achieve it. Getting stuck in analysis paralysis is a business killer. Being able to decide on a course of action, often with limited data, is what will make you successful. That may just mean you “fail faster” and move on to the next idea that fits into your vision. Being decisive is making the right decision at the right time for the right reasons, a key factor to foster a culture of trust and open communication in your business. It allows your business to be nimble and quick in successfully completing planned actions that fit into the strategy for realizing your vision. Organizational systems. These systems include your “people structure” and how those people interact within your company. Your organizational systems will dictate the culture of your organization in regards to management, communication, trust and decision making. Looking at your company as an entire system, rather than separate parts, can help you optimize how the human paths work to get the most from your business. Business systems. These systems assist the organizational systems in getting work done. They detail all the steps it takes to go from concept to product delivery and what path those steps take within your company. Your business systems should be documented and include all methods and procedural steps required. These systems help you ramp up new staff easily and make getting work done a whole lot easier. So will you be a complete failure if you don’t embrace these three key leadership traits? Not necessarily. There are so many variables that come into play when starting and running a successful small business. Your best bet is to take a good, long look at yourself and determine your leadership strengths and weaknesses. Then decide what’s important to your business success and hire for the traits you’ve identified as weaknesses.